Amanda Foody has always considered imagination to be our best attempt at magic. When she is not writing young adult fantasy about spectacle, extravagance, and prestige, she works as a tax accountant. She lives in Philadelphia, PA with her many siblings and many books. Absolutely. It's been my dream even when I was a little kid. I was always particularly drawn to YA fantasy because 1) when I was breaking into publishing, I was still a teenager, and 2) I found the amount of women writers and characters more welcoming and refreshing than in adult fantasy. Plus, I just love the stories, and there is so much enthusiasm in the community. I enjoy cooking, graphic design, piano, tennis, and binge-watching television programs. I am definitely more tea than coffee, but I normally don't eat/drink anything while writing. Maybe wine, depending on the scene ;) I usually get into a zone, and anything else (for instance, food, which I very much enjoy) can be a distraction. What makes your protagonist stand out from other YA heroines? 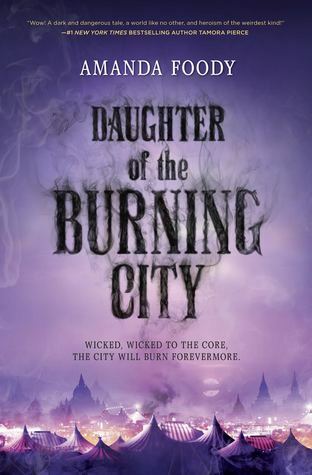 Sorina, the protagonist of Daughter of the Burning City, literally pulled me through writing the book because of how passionate I felt about her. As someone who is very girly but also very nerdy, I struggle to relate to YA heroine trends of the strong, badass warrior-types. Though women like this totally exist and are valid in their womanhood, I personally have sought to write female leads who embrace their more feminine sides. We need to lose the mentality that being feminine prevents you from being a strong woman. Apart from Sorina's obvious enjoyment of make-up, fashion, and the color pink, I think Sorina is non-traditional in more respects than just her girliness. For instance, Sorina is the daughter of the Gomorrah Festival's proprietor, meaning she is expected to one day assume the same position. However, Sorina is a performer at heart. She isn't bookish, academic, or scholarly, and she even struggles with her own feelings of intellectual inadequacy. She grows anxious at the thought of responsibility and leadership. She takes everything personally and struggles to separate her own emotions and perspective from a problem. Throughout the course of the story, Sorina's responsibility and expectations as a future proprietor grow, and she is essentially being asked to rise to the occasion the way many other YA protagonists do: to lead, to take charge, to be the warrior; and this is simply not who Sorina is as a person. She is still strong, still brave, but I haven't yet encountered a YA lead who feels as every-girl as she did to me. Lastly, Sorina explores quite a lot of body image/self-confidence themes throughout her story, and I was very particular in the way I wanted to approach it. Oftentimes among typical strong female leads, there is that one ball scene where they get gussied up and everyone realizes they're gorgeous, but the girl herself has no idea how make-up works and couldn't care less about her appearance. Don't get me wrong--I am total trash for glitzy ball tropes--and there is definitely something empowering about a girl who doesn't care about the way she looks. But again, it was difficult for me to relate. I love make-up and dresses, and, even after suffering my share of self-confidence issues, I care about how I look. Sorina doesn't have eyes, which makes her face a rather unique one. Considering how much we rely on eye expressions to read emotion or connect with someone, or simply view it as an essential part of the face, this can make her appear unsettling to those around her. And this shakes her, as Sorina would very much like to be beautiful. She cares, and she cares a lot. She might not be a perfect princess, but she still dreams of her someday fairy-tale. 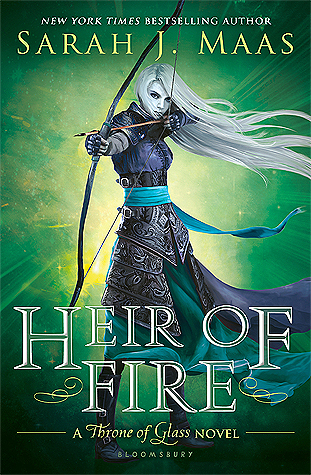 As much as I enjoy and appreciate reading about the badass women who bring kingdoms to their knees and hold swords to their lovers' throats, I found it very cathartic to write the arc of a girl like Sorina, who doesn't know how to hold a weapon, who struggles with her own self-image, who is trying to define herself amid expectations and growing responsibilities. She's weird, bratty, immature, selfish, compassionate, stubborn, and flawed flawed flawed. And I adore her. Why did you decide to write about a traveling carnival? What inspired you? I started Daughter during a free-writing period in class my sophomore year of college. I had no intentions of writing a carnival book. Clowns creep me out, and I would honestly be a terrible carny. But I started writing, and out the story came. I was drawn in to the concept of a lonely, freaky princess surrounding herself with the freaky family she created. It broke my heart, in a lot of ways, which was why I knew I needed to write it. I'm reading A CROWN OF WISHES by Roshani Chokshi, which I had the pleasure of previewing last summer, but I now get to savor the full work. Next up on my list are titles like THE HATE U GIVE by Angela Thomas, THE SECRET HISTORY by Donna Tartt, MASK OF SHADOWS by Linsey Miller, REBEL SEOUL by Axie Oh, and NOW I RISE by Kiersten White. Look for Daughter of the Burning City in August!